Android Lollipop is by good margin the most advanced and refined version of Google’s nearly ubiquitous mobile OS. Some features that are now integrated into Lollipop were only available through the use of custom ROMs not too long ago. One feature that was added not too long ago is quick toggles. 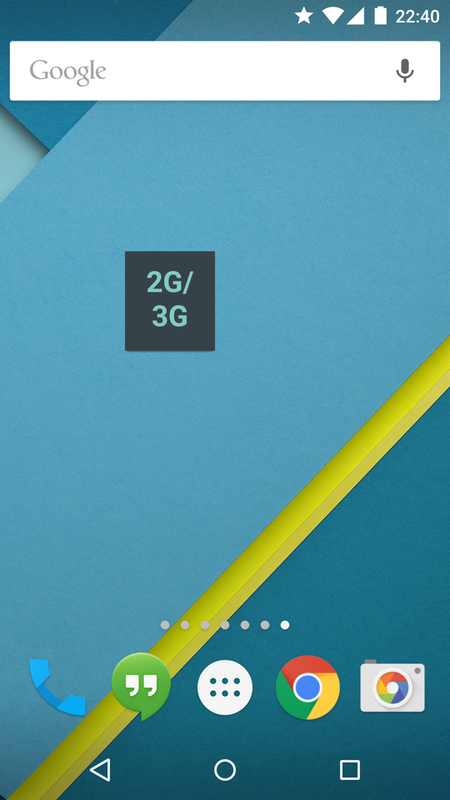 Lollipop’s status bar toggles are great, but they don’t offer too many switches. One that many people happen to miss is network mode. To change the network type of your device, you need to enter the settings app and look for the relevant parameter manually. This takes an awfully long time, and is everything but convenient. Luckily, XDA Senior Member cygery found a solution. Toggle Network Type is a simple widget application that lets you change your mobile network type with just one click. You can browse from your current list of modes (2G, 3G, 2G/3G, LTE). Bear in mind that some of these modes (particularly LTE) must be provided by your carrier and you likely need a U-SIM to make it work. Due to some changes in the source code, Toggle Network Type requires root access to work properly. This widget will also work only on Android 5.0, so don’t bother installing it on older Android versions. It simply won’t work. If you run Android Lollipop already and want a fast and convenient way of changing your network type, check out the Toggle Network Type forum thread. Cygery made it free for all XDA members, so it’s definitely worth a shot.